You can now enable notifications for chat ratings and feedback. Ensure you have enabled the chat rating option. If you have not enabled, login to your HappyFox chat account. 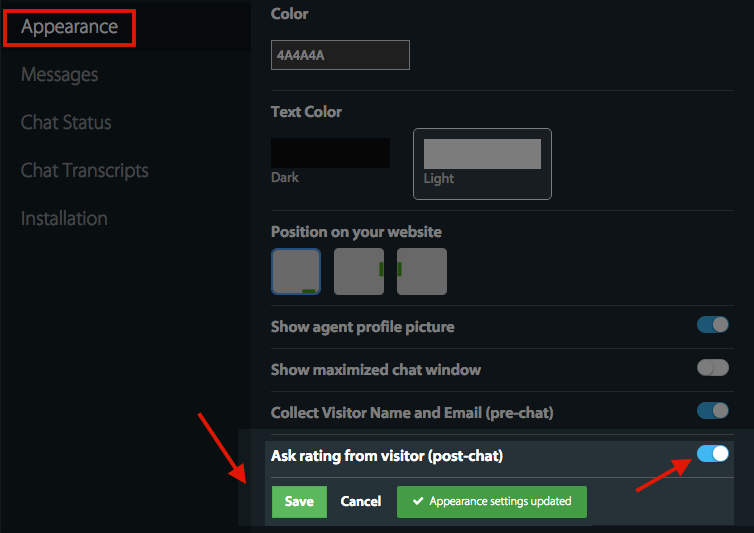 Go to Manage tab >> Appearance >> Ask rating from visitor (post-chat) >> Toggle ON. 1. Login to HappyFox Chat and navigate to Edit Profile section. 2. Click Email Notifications tab in the popup. > If you are an admin, you will have the option to get email notification for chats handled by you and your agents. Only Admin(s) have the option to receive email notifications for chats that are handled by the agents in their department. Enable it by choosing the second check box against 'Whenever an agent from my department is rated' and hit "Save" button. 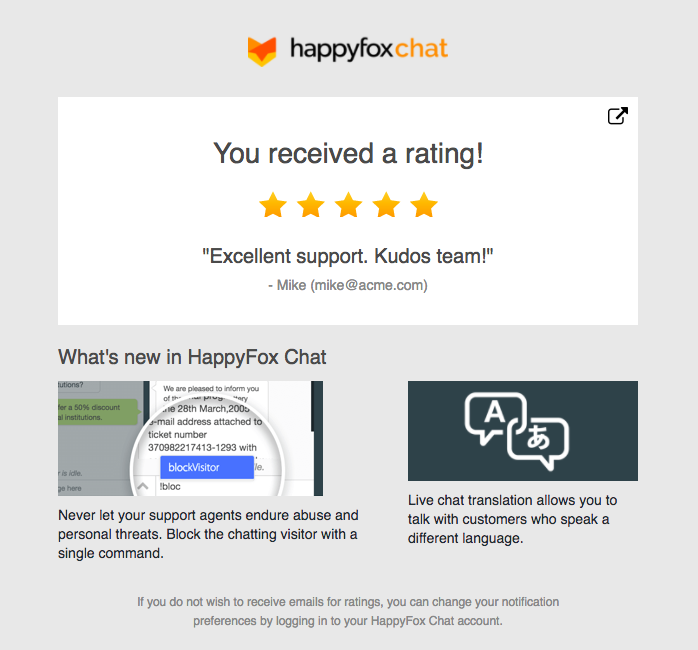 You can view the particular chat's transcript in your HappyFox chat account, by clicking the new tab icon present in the top right corner of the rating email. If you've enabled White labelling or unbranding feature, under Fantastic /Enterprise plan, you'll not receive the brand name in the email.